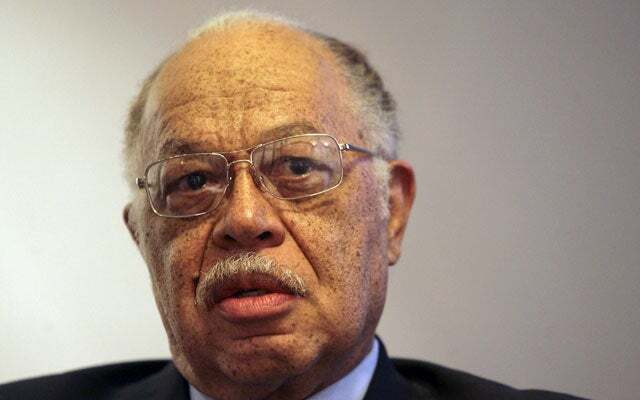 May 19, 2014 (Heritage) – It’s been a year since abortionist Kermit Gosnell was convicted of first-degree murder and involuntary manslaughter for killing three newborns and causing the death of a mother in his West Philadelphia clinic. And, according to a panel of experts in policy, law and medicine who gathered at The Heritage Foundation, the decaying operating rooms, filthy instruments and unsafe practices that went undetected for two decades at Gosnell’s clinic remain all too common in America. “Nothing was done for years with Gosnell,” panelist Byron Calhoun concurred, calling the oversight an “inexplicable medical anomaly.” Calhoun, professor and vice chair of the Department of Obstetrics and Gynecology at West Virginia University-Charleston, said studies show an 81 percent increase in risks of mental health problems for women post-abortion. He said the figure could be even worse for those who undergo late-term abortions. Calhoun said “women deserve better” when it comes to oversight of abortion clinics. “We would contend that holding the abortion industry and abortion providers to at least the minimum accepted standard of surgical and post-operative care required for all other surgical procedures seems reasonable,” Calhoun said. Panelist Angelina Baglini, an associate scholar with the Charlotte Lozier Institute, the research arm of the Susan B. Anthony List, also stressed the need for greater protections for mothers, especially after 20 weeks of pregnancy: “A law ending abortions after 20 weeks is legislating what is safe and healthy for mothers,” she said. Comparing abortion in the United States to international norms, Baglini revealed the extreme nature of America’s abortion laws. According to Baglini’s research, the United States is one of only seven countries in the world that allow late-term abortion. Law professor Teresa Collet noted some states better protect women than others. For instance, “In Texas, women are protected by reasonable health and safety standards.” For states seeking to protect women’s health and safety, Lamontagne drew attention to AUL’s work on state-level policies that protect both mother and child from the harms of abortion. AUL President and CEO Charmaigne Yoest concluded the May 13 event, highlighting the need to break the “conspiracy of silence” that surrounds the reality of abortion’s harm to women. Although a gruesome and tragic incident prompted this discussion, participants were optimistic about the odds that the law will better protect women and babies in the future. “Momentum is in our favor,” Lamontagne said.